Description: -Amazing corrugated entire leaf; this palm is quite cold tolerant handling temperature down to 0.C for short periods of time. Will make an excellent pot plant for a patio or large foyer leaves to 1.5m wide by 2.2m long. Likes sandy soil, a little lime and regular watering through warmer months. Make sure you have one of these special palms!! 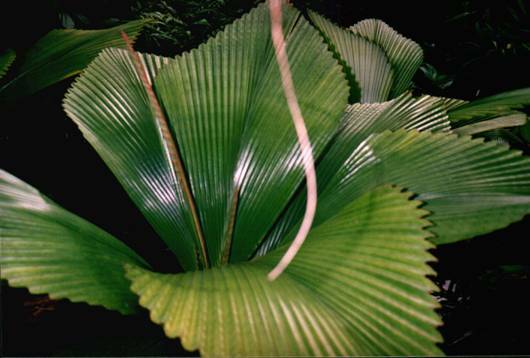 The leaves of this species are used for roofing in Malaysia and Thailand and last quite a few years.